The official website for three-member voice actress idol unit Run Girls, Run! has started streaming a two-minute music video for their fifth single song "Diamond Smile." 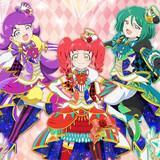 The pop tune is now featured as the OP theme for the second season of the idol-themed TV anime Kiratto Pri☆Chan, in which all three members have voiced its main characters. Watch their brand new MV after the jump! 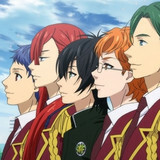 The official website for KING OF PRISM -Shiny Seven Stars-, the latest third installment of the the KING OF PRISM anime franchise, has started streaming a three-minute PV to introduce its main characters and story line, as well as its boy idols' "Prism Show" performances. Check out the latest clip after the jump! The official website and Twitter for the TV anime Kiratto Pri☆Chan posted a key visual for its upcoming second season introducing three new idols: Dia, Maria, and Suzu. The theme of the new season is "Idol and Jewel." Hit the jump for more latest information. 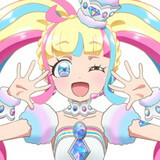 The official website for Kiratto Pri☆Chan, the ongoing TV anime series based on Takara Tommy Arts and syn Sophia's "Pretty" arcade game franchise, announced on December 9 that it will get its second season from April 2019 and teased an appearance of a new idol character with her silhouette image. Hit the jump for more information. 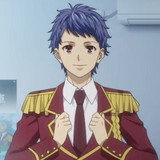 Following the announcement for its first chapter's release schedule in Japan, the official website for KING OF PRISM -Shiny Seven Stars-, the latest installment of the boy idol-featured KING OF PRISM anime franchise, has also started streaming a 80-second full trailer packed with newly-animated footage including a part of the idols' gorgeous prism show. 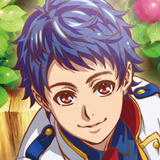 Check out the new KinPri world after the jump! 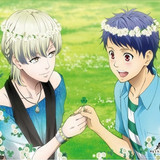 The official website for KING OF PRISM -Shiny Seven Stars-, the latest installment of the male idol-featured KING OF PRISM anime franchise, announced today that the first chapter of its four-part film edition is set to be released in select 29 theaters in Japan on March 2, 2019. Its rest three chapters will be screened consecutively in the following weeks. Hit the jump for more details. Following the first song "Kiratto Start," three-member voice actress idol unit Run Girls, Run! 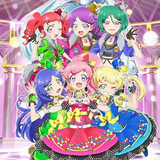 sing the second OP theme song for the idol-themed TV anime Kiratto Pri☆Chan, "Go! Up! Stardom!" The unit's official website has posted a short version music video for the song featuring the members' performance at various places in school. Watch their cute performance after the jump! 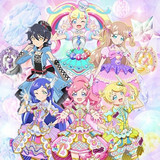 The official YouTube channel for the ongoing TV anime Kiratto Pri☆Chan, the latest installment in Tatsunoko Production and DongWoo A&E's "Pretty" anime franchise, has posted a 90-second special PV to introduce the idol anime's world setting and main characters, including its two main three-member idol units, Miracle Kiratts and Meltic StAr. 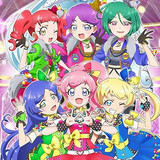 Learn about the Pri☆Chan world after the jump! 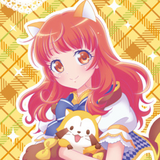 Rascal the Raccoon is preparing for his next anime collab -- this time with the girls of PriPara, Pretty Rhythm, and Kiratto Pri Chan! Check out their new coords and the upcoming items after the jump. 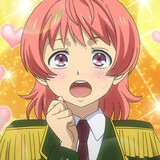 Pretty Rhythm spinoff KING OF PRISM is coming back in 2019! The series will return in the form of a 12-episode series and four compilation films. Check out what we know so far, and the first visuals, after the jump. 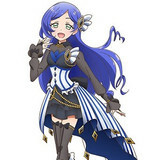 Rinka Confirmed to Make Idol Debut in TV Anime "Kiratto Pri☆Chan"
The official Twitter for the ongoing TV anime Kiratto Pri☆Chan, the latest installment of Tatsunoko Production and DongWoo A&E's "Pretty" anime franchise, has posted new visuals that introduces Rinka Aoba in her "Kiratto Code" idol costume for the first time, which suggests that she will finally make her Pri☆Chan idol debut pretty soon. Check out her much-anticipated idol style after the jump!